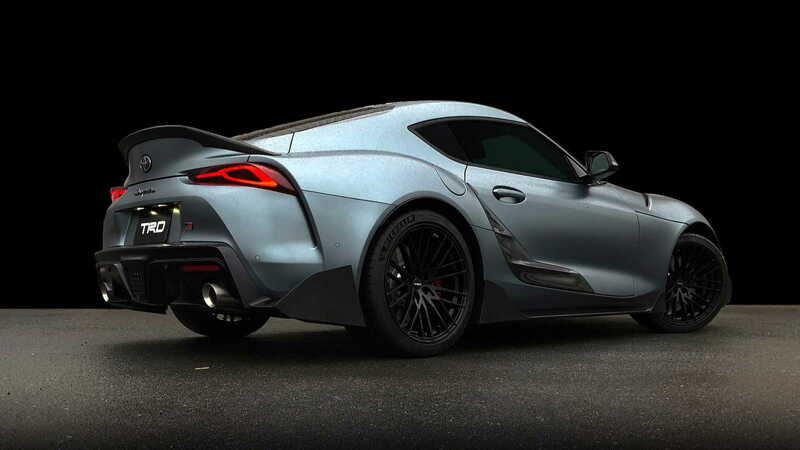 The 2020 Toyota Supra is fresh off of its reveal at the 2019 North American International Auto Show in Detroit, but the brand is keen to show off potential performance upgrades to its banner sports car. 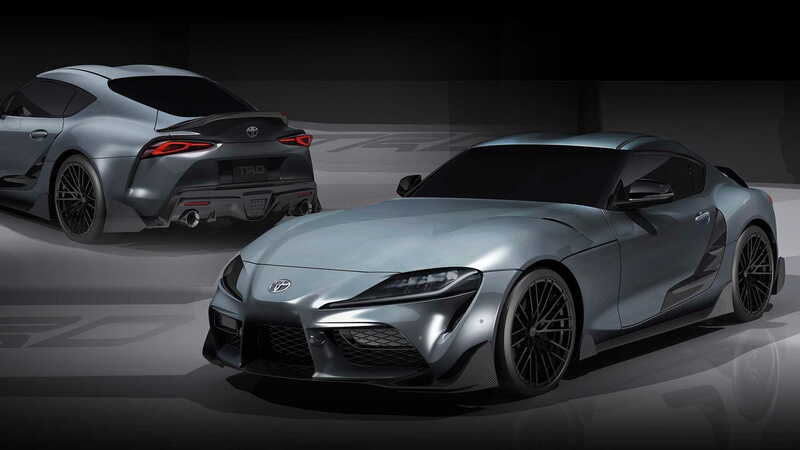 At the 2019 Osaka Auto Messe in Japan on Saturday, Toyota revealed the Supra Performance Line concept TRD, which focuses heavily on aerodynamics to improve performance. Carbon fiber is used for the changes to the body, and all of the changes focus on light weight. 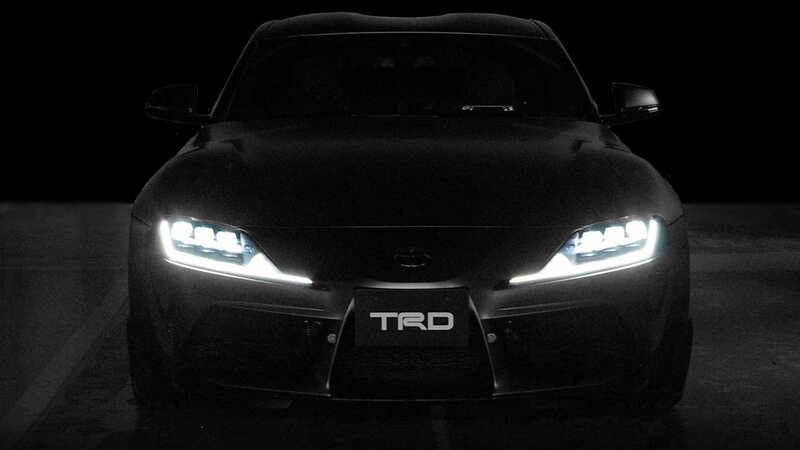 TRD looked at six areas to improve aero: the front bumper, wheels, side skirts, door garnish, rear bumper, and spoiler. 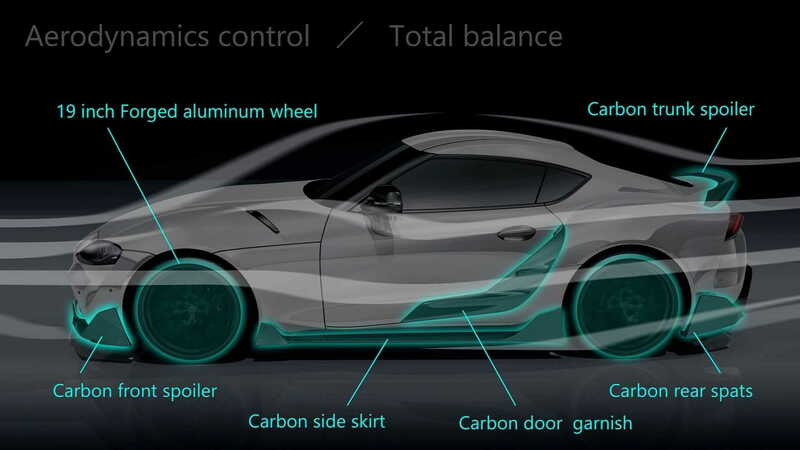 All but the wheels, which are lightweight forged aluminum, are carbon fiber. At the front, a new spoiler features large fins on each end. Toyota said the fins increase downforce at high speeds to reduce lift. The side skirts, meanwhile, help lower the car's center of gravity. While the new door garnish looks like a cosmetic touch, Toyota says it helps air travel to the rear of the car without much turbulence along the way. Rear stability increases thanks to spats that are connected to the diffuser. They help guide air around the car optimally, and the new spoiler helps keep the Supra flat on its feet while driving. Finally, Toyota says the forged aluminum wheels improve steering response and speed in a straight line. According to Toyota, the distance between the spoke ends and the hubs is shorter to emphasize the car's front-engine, rear-wheel drive proportions. 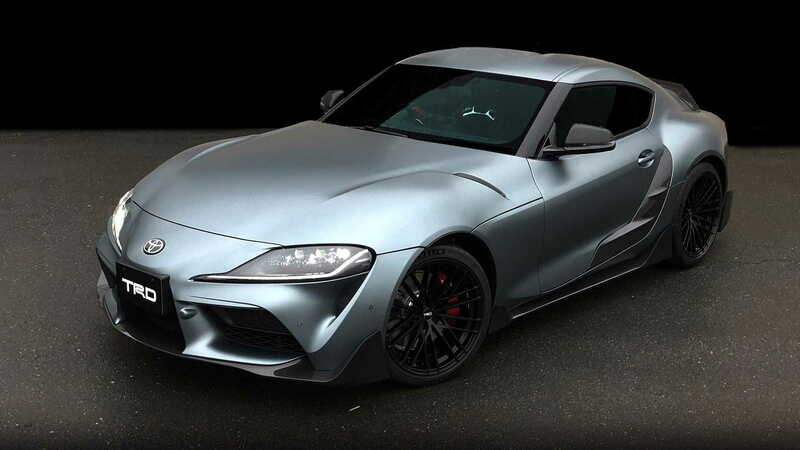 The parts obviously are a first showcase of the accessories TRD and GR have planned for the Supra in the months and years to come. This first round doesn't tackle engine performance, but the added aero (and carbon-fiber splashes) aren't anything to overlook. The announcement also seemed to tease future performance upgrades with a shadowy "to be continued" message with an outline of another Supra. When the Supra reaches dealers this summer, Toyota will likely release an ever-expanding catalog of TRD accessory parts for the car, as well as perhaps a higher-performance model or two.